Unusual weather conditions during the most critical time of the construction schedule delayed the project close to a month. In addition, there was a late request to add a visitation area to the building program, requiring design changes to fit this new space within the current footprint of the building. With proper communication and collaboration with the owner, the team was able to complete the project on time as originally scheduled. The Texas Health Recovery and Wellness Center provides residential treatment for clients that need professional help to resolve addictions. A typical client will stay at this facility for approximately one month, so care and detail had to go into every facet of this project to produce satisfaction for the individuals in recovery. Despite unusual weather conditions that delayed the project toward upwards of a month early on, this project was still completed on time. 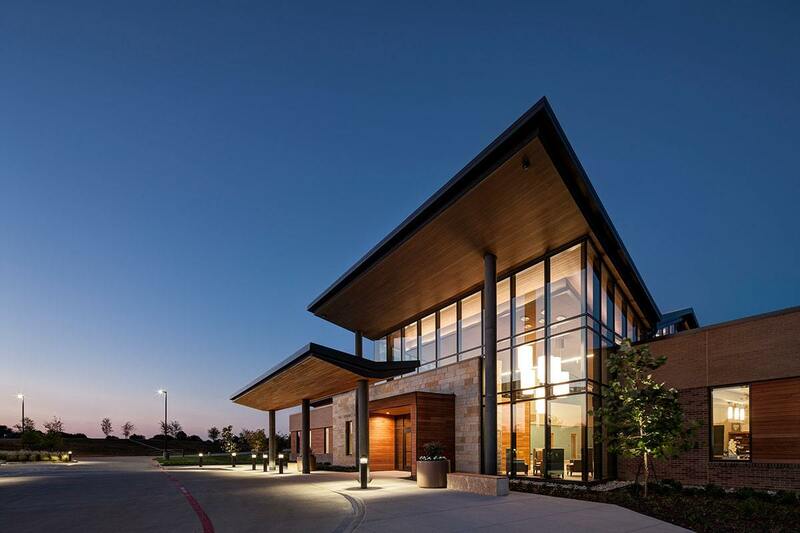 The center includes a swimming pool, gym, basketball court, fitness room, yoga studio, massage therapy, movie room and dining area, as well as a visitation area that was a late request from the Owner – this visitation area was completed with no additional time or cost to the project at large.